We supply a wide range of Shipping Containers to many different industries and clients throughout the UK. All our containers are tested and inspected before dispatched. We stock new and used Shipping and Storage Containers available in many different sizes from 8ft to 40ft. High Cube, Anti-Vandal and Jack-legged options are available. We specialise in Bespoke Containers, which can be used for a variety of different reasons for example a container office or a container home. Bespoke Containers are becoming ever more popular because they are robust, secure and long lasting and can be transported to most places that have the space to house them. 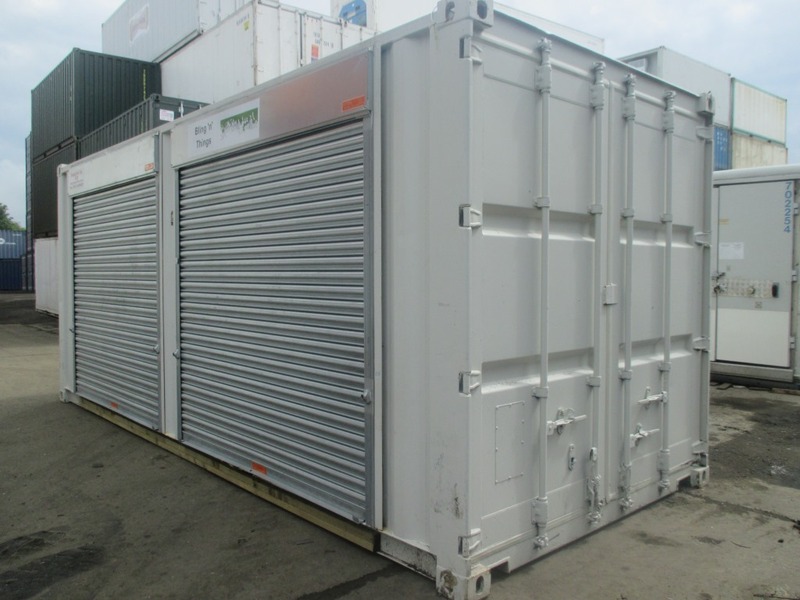 Bespoke Containers are exactly that they can be made to suit your bespoke needs so whether it’s a container with a roller shutter door or a container with a window in it we can provide that for you and we can also deliver it directly to your location and unload it and set it in the location required. If you have a specific need there is no doubt that we have either done it before or have been asked about it before so don’t hesitate to come to us with whatever query you have no matter if it sounds a bit out there or not. Contact Us on our free quick quote form below for a quick and easy quote on any of our containers or bespoke containers.